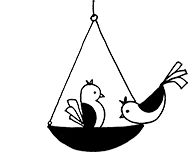 The Gujarat Visual Women’s Artist Association was founded in 2011 to promote art amongst the women of Gujarat. In this exhibition ‘Rangoustav’ at Amdavad Ni Gufa, 20 women have been mobilised to celebrate art and femininity. Open till May 20, each of the artists explores a unique subject and medium, making each of the 72 artworks so different from one other. 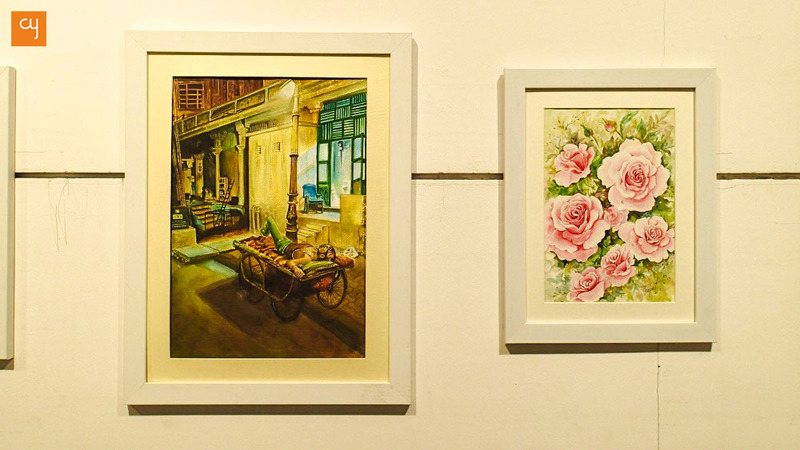 The subjects of the Rangoustav group art show are so varied and unpredictable that when you start viewing Nayana Mewada’s Sundarkand paintings, you can neither foresee that Jayanti Bhattacharya’s street art paintings will be up next, nor that Mita Panchal’s abstracts will meet you at the end of the display. Each of the 72 artworks is so different from the other. Each has been made with fresh ideas by 20 women of Gujarat, most of whom are painters, art teachers or hobby artists. 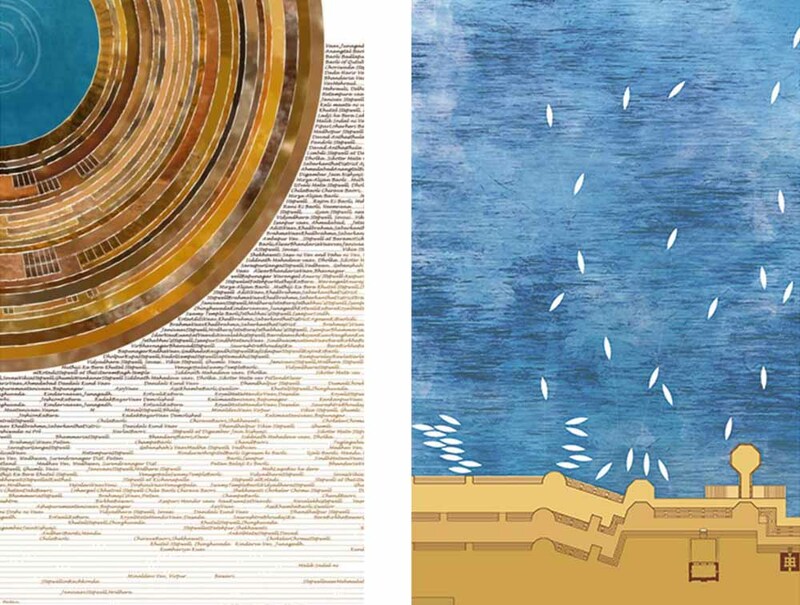 Inaugurated on May 15 in the presence of artist Natu Mistry, who is a specialist on heritage monuments of Ahmedabad, and senior architect-artist Trupti Dave, Rangoustav will be on exhibit at Amdavad Ni Gufa till May 20, every day from 04:00 PM to 08:00 PM. 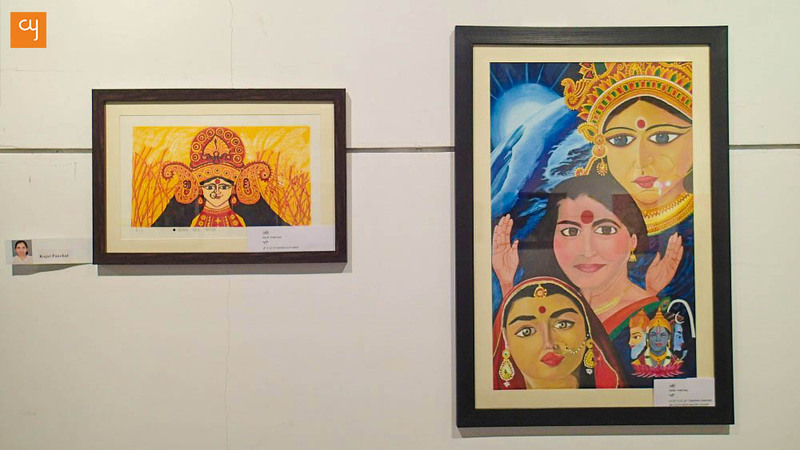 All the participants are members of the Gujarat Visual Women’s Artist Association, an organisation that promotes art amongst the women of Gujarat. The artworks entice viewers to look at them for extended periods of time. Rubi Arora’s life-sized figurative paintings, for instance, possess the power to capture one’s attention instantly. Some of the works that truly stand out in the show are the landscapes created by Hansa Patel in collage form, the paintings of ‘Shakti’ created through sketches and acrylics by Kajal Panchal, and the portraits themed around ‘daughter’ by Sejal Shah. 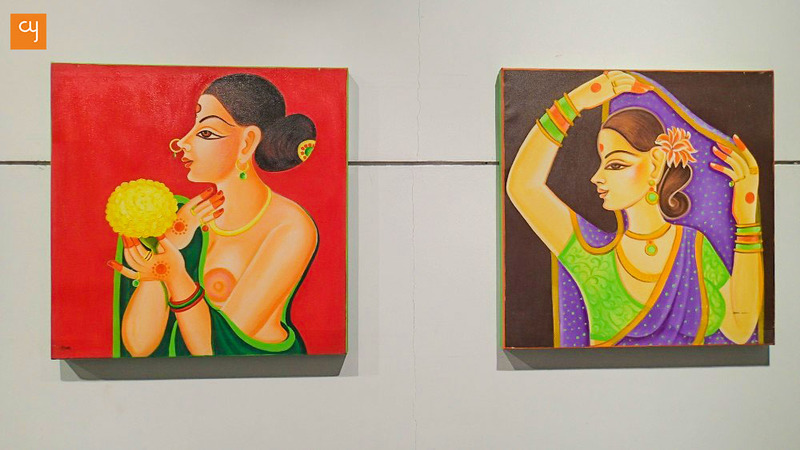 Watercolourist Anuradha Pimple’s paintings of a mother-child duo lend an endearing feeling; while Seema Sharma’s gorgeous figurative women have the most wonderfully feminine quality, which remind one of the Rajasthani Pichwai form of art. 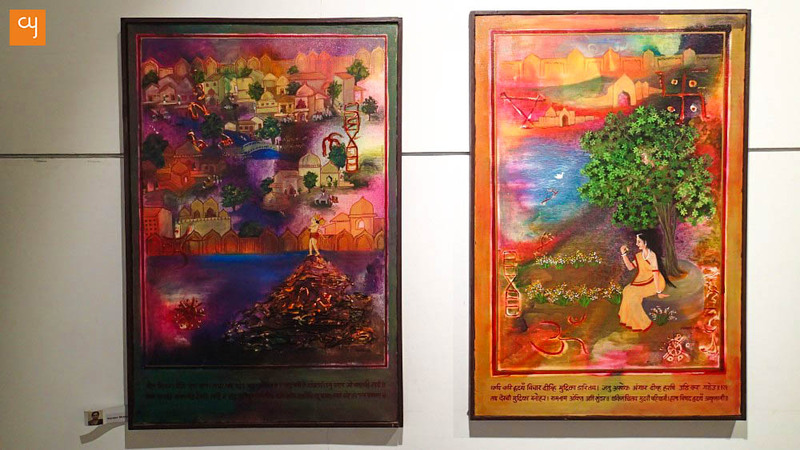 Avian life has captured the imagination of many of the artists, like city-based artist Labdhi Shah. Painter Amita Phumbhra has taken the peacock as her subject and recreated it in vibrant colours; while another series of paintings of birds at the exhibition has a distinctively Chinese sense of aesthetics. Priya Pariyani experiments, meanwhile, with childlike doodles. Garema Shah’s abstract forms are shapeless and subtle, as are Mansi Bhalani’s abstract watercolour impressions, which stand beside a series of artworks inspired by relief sculptures. The show culminates with a fantastic installation that uses threads to portray an umbilical cord. 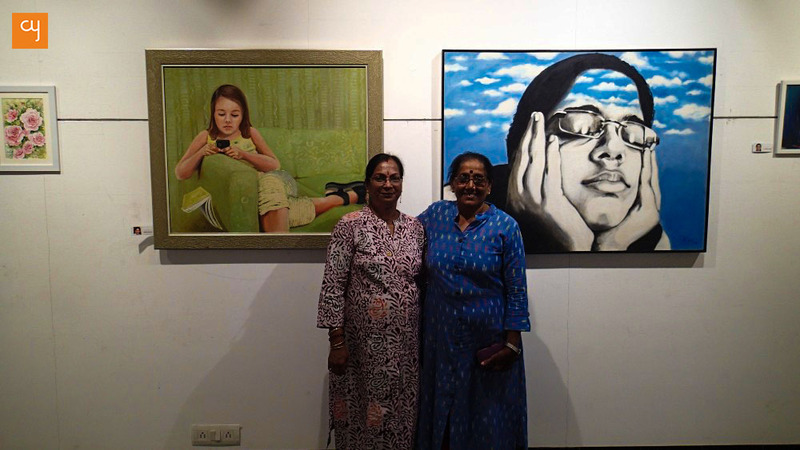 Gujarat Visual Women’s Artist Association (GVWAA) was co-founded in 2011 by Hansa Patel, Nayana Mewada and two other members who are now deceased. The motive of the organisation is to promote visual art and painting amongst women of all age groups from all across Gujarat. 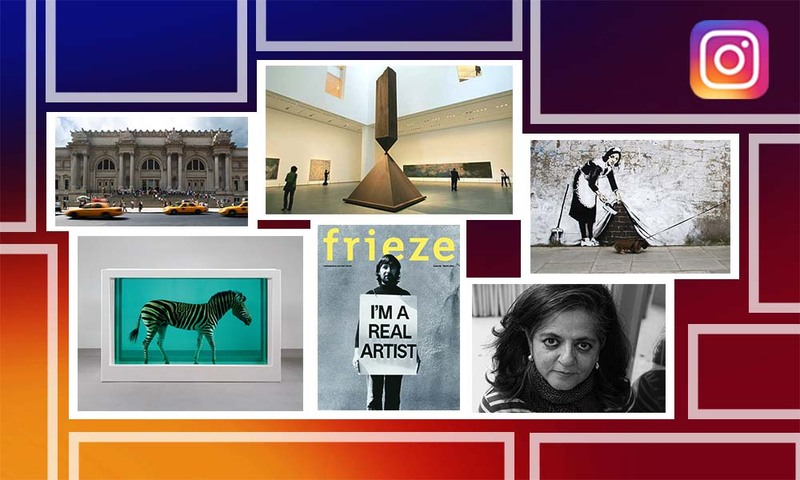 When we asked about the theme of this exhibition to convener Nayana Mewada, she replied, “We give full independence to our artists concerning medium, technique and subjects. 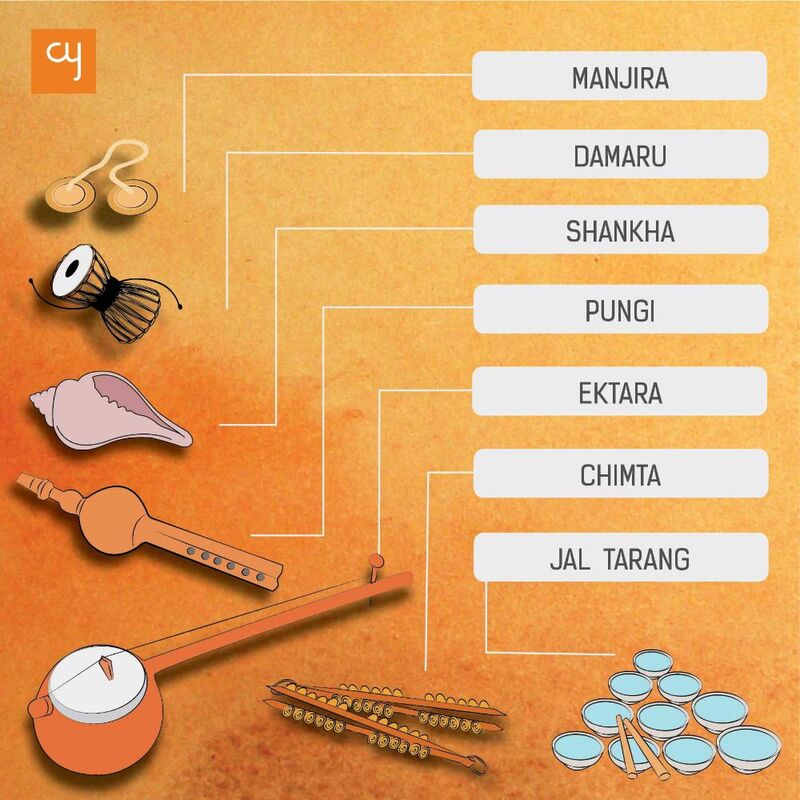 Every year, we women organise at least two shows, out of which a Ganpati show is fixed for each year during the days of Ganesh Chaturthi.” GVWAA has, till now, organised more than 15 shows across various galleries of Ahmedabad, and is growing every day with the help of secretary Arvind Vakani.